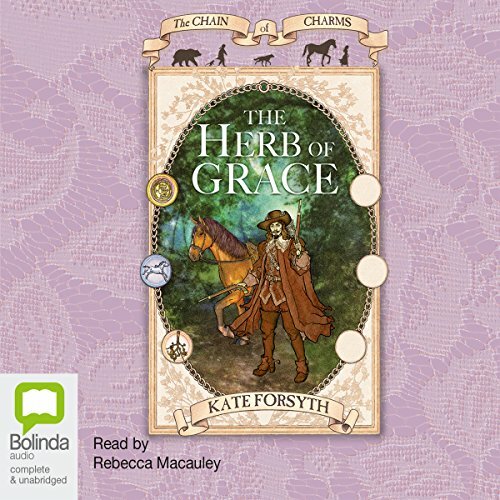 Book 1 in the Chain of Charms series, a brilliant new adventure series set amongst the gypsies of Cromwell's England. From the best-selling author of the Witches of Eileanan series. Once there was a gypsy queen who wore on her wrist a chain of six lucky charms - a golden crown, a silver horse, a butterfly caught in amber, a cat's eye shell, a bolt of lightning forged from the heart of a falling star, and the flower of the rue plant, herb of grace. The queen gave each of her six children one of the charms as their lucky talisman, but ever since the chain of charms was broken, the gypsies had been dogged with misfortune. 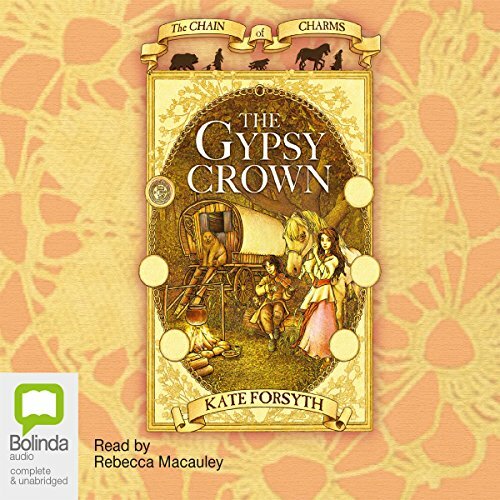 Book 1: The Gypsy Crown: 9th August - 12th August 1658. 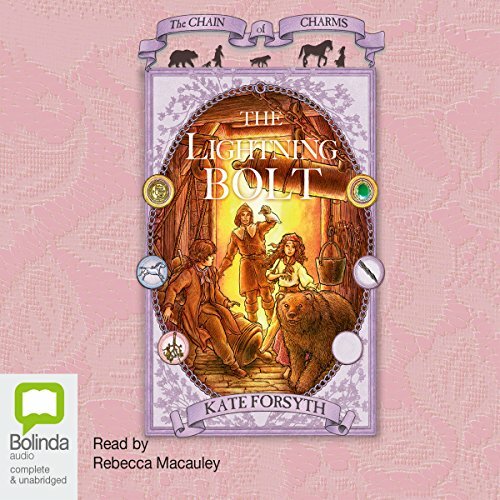 Maggie has given them the first charm - an old gold coin - but Luka and Emilia must escape the brutal thief-taker, Coldham. With a horse, a monkey, a dog, and a huge brown bear in their train, it is hard to travel secretly as they flee across the Surrey countryside. With a little bit of luck - or, as Emilia believes, magic - they manage to escape, but Coldham will not give up so easily. 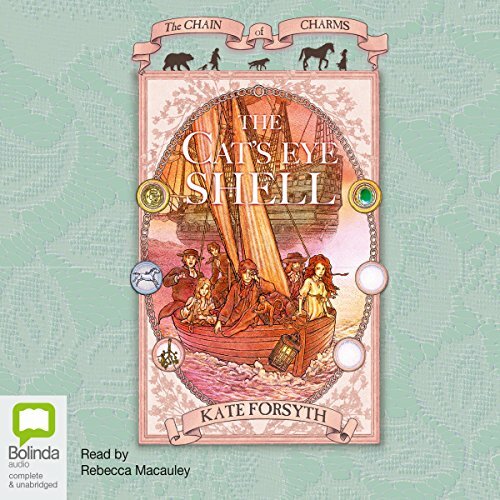 Emilia and her cousin Luka have the gypsy crown, and are travelling with their menagerie in search of the Hearne tribe. They hope that this family, to whom they will soon be related, will surely help release their kin from gaol. Luka and Emilia find the Hearnes horseracing on the Downs above Epsom. But Emilia must compete to win their support. 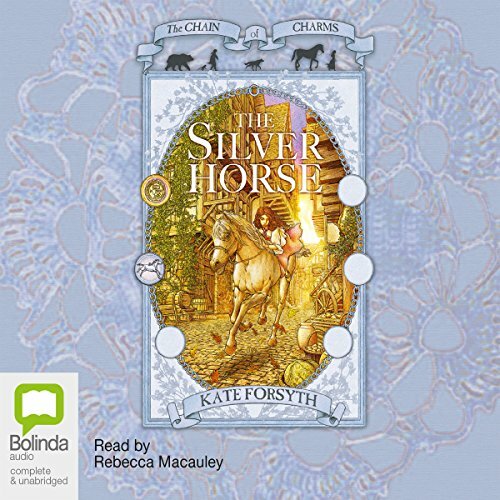 Will she have to give up her beloved mare in exchange for the Hearne family's charm - a small silver horse? And can they escape Coldham again? Luka and Emilia must travel to the New Forest to find the Wood tribe, whose charm is a rue flower, the herb of grace. Its power is that of plants and herbs - which can both heal and poison. 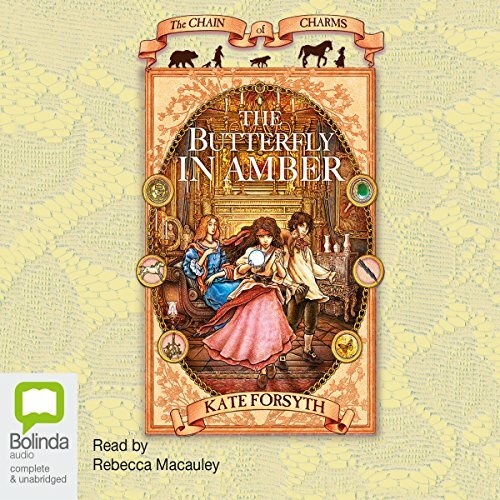 On the way, the two children tangle with an impoverished widow, the thief-taker Coldham, a highwayman, and a witch, and find themselves caught up in a Royalist plot to restore King Charles II to his throne. Once there was a gypsy queen who wore on her wrist a chain of six lucky charms. The queen gave each of her six children one of the charms as their lucky talisman, but ever since the chain was broken, the gypsies had been dogged with misfortune.Having acquired the first three charms in the quest to secure their family's freedom, Luka and Emilia flee into Sussex with soldiers hot on their heels, in company with a Royalist duke, a Catholic priest, a highwayman and young Tom Whitehorse. Here in the Weald, the Smith tribe are working for Parliament, making cannons and weaponry. They have prospered under Cromwell's rule, and have no interest in old gypsy charms. Amidst the smoke and noise of the Horsmonden foundry, Emilia and Luka run into old friends - and old enemies.